One of my first visits in Cartagena was the San Felipe Castillo. Since I have traveled to other parts of the world this sounded really familiar, San Felipe… really? 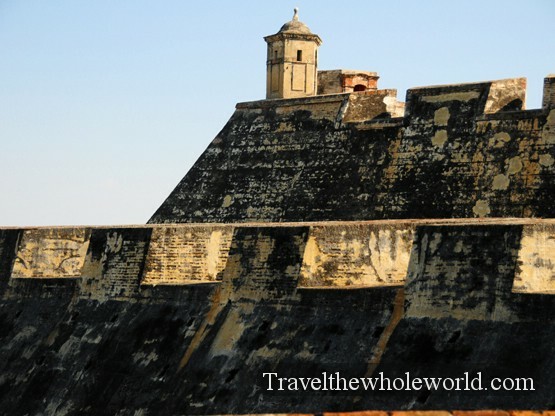 After I looked it up I found the reason why, Guatemala, Puerto Rico and Florida also have a San Felipe Castillo built by the Spanish. This one is the largest I’ve ever visited and construction started in 1537. 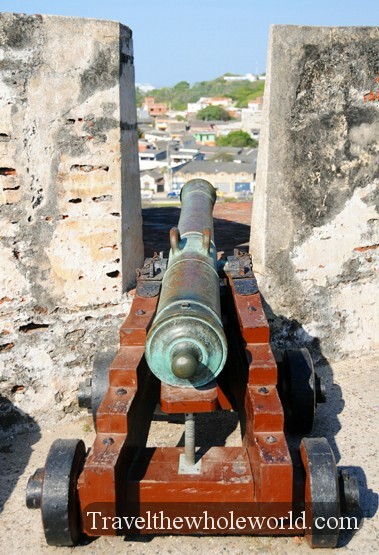 The castle saw many wars throughout its years as it defended from other imperialists and Caribbean Pirates. Even the French occupied the fortress for decades and in the mid 18th century it was attacked by the British! Above is one of the hallways that forms a maze within the castle. On the right is a cannon looking over the city of Cartagena. The castle is built on a small hill which provides some good views of the city. 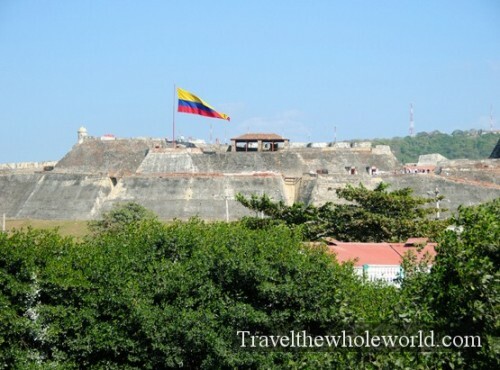 Below is a photo taken nearby showing Cartagena’s skyline which holds almost 900,000 people. While San Felipe Castle overlooks the port, the old city of Cartagena itself is further protected by a city wall built in the 16th century. 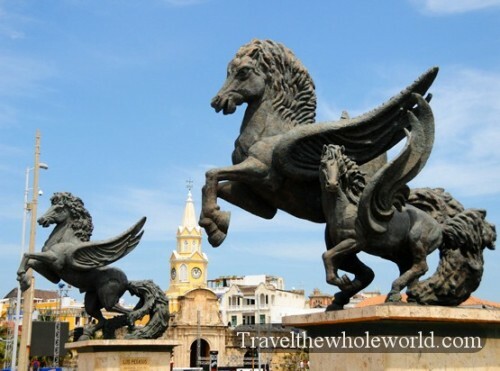 On the left side you can see parts of the old city behind the wall and on the right are some modern statues of Pegasus horses with the clock tower in the background. Many festivals take place around the year around the clock tower. Apparently a local told me I had just missed some kind of film festival that was taking place over the weekend. 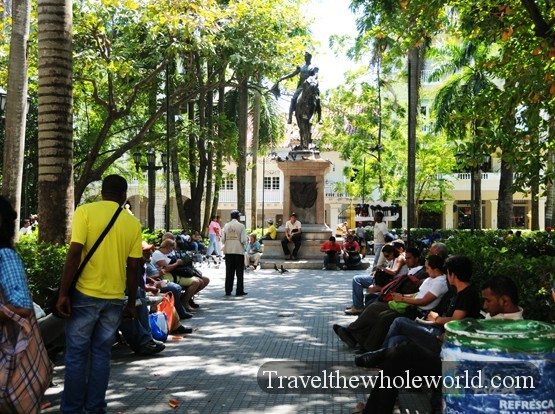 The hostel I stayed in was in Cartagena’s old city so I spent most of my time in this part of town. 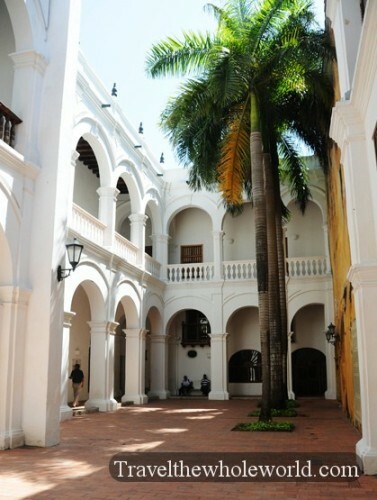 The architecture and culture in Cartagena is amazing. 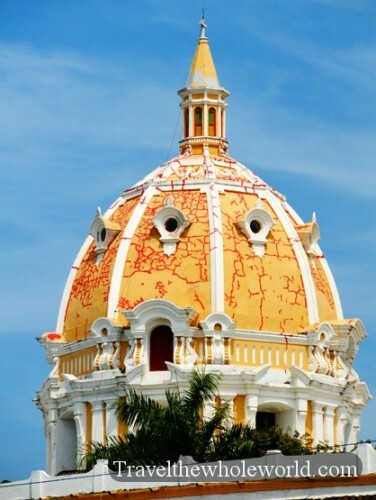 Above is the dome of Cartagena Cathedral also known as la Iglesia de San Pedro Claver that was built in 1580. 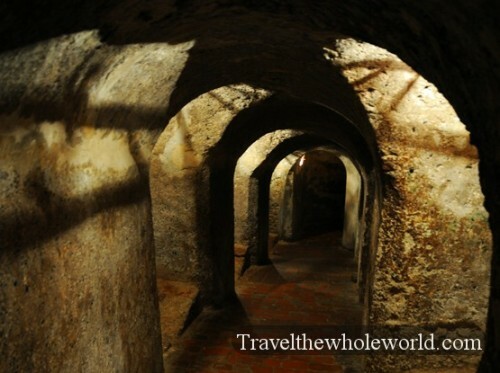 Cartagena is also known as the slave capital of the world. The Spanish and the Portuguese company Cacheu brought tens of thousands of slaves through the city; more than any other place in the world. 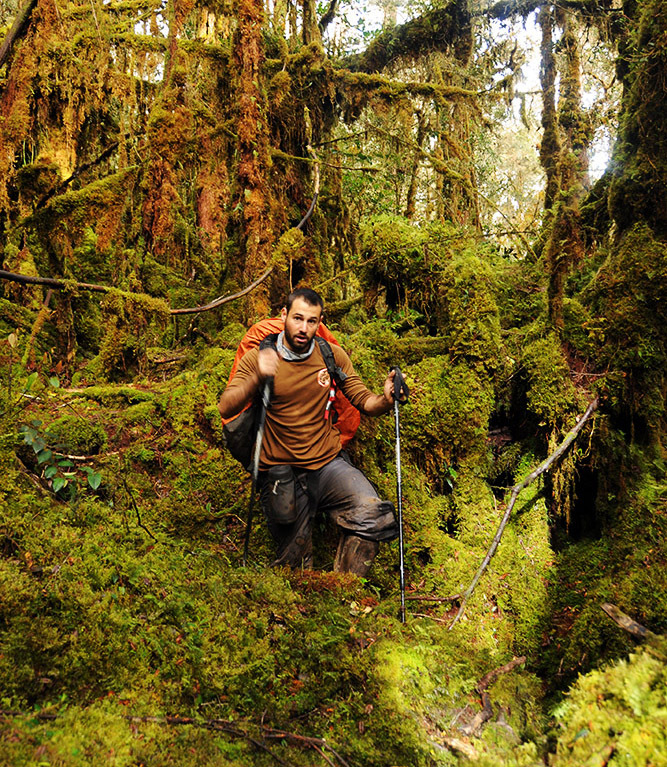 Many were sent to work on building roads and work on farms in other countries such as Ecuador or Venezuela. 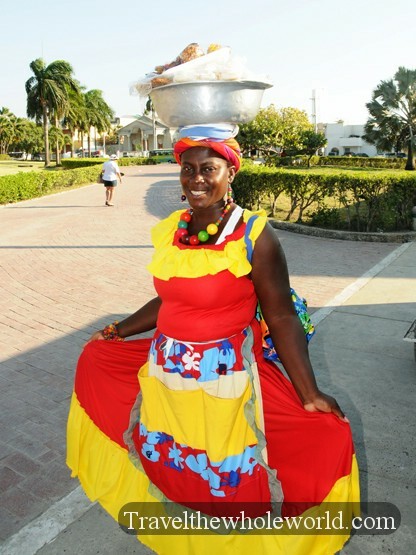 Descendents of the slaves brought from Africa are now a part of Colombia’s culture such as the woman on the upper right. She was selling some type of homemade sweets on the street that I purchased from her. Below are some more photos of Cartagena’s old city. 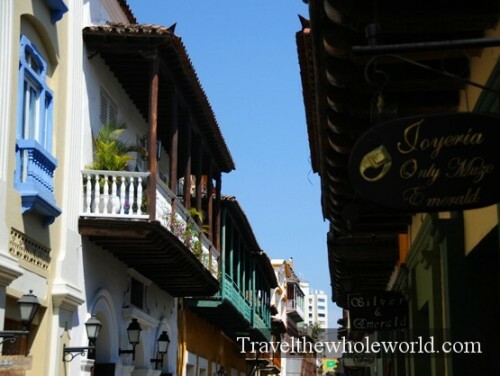 The colonial architecture with the balconies is very common, several restaurants have outside seating. The are are a good number of city parks which is a good place to pick up a snack or something like a new pair of sunglasses from street vendors. Above is a shot of the city’s convention center and the entrance of the Spanish Inquisition Museum which is a place I really wanted to visit. The Cartagena history and Spanish Inquisition museum is said to be one of the most important museum in Cartagena. It actually seemed it was smaller than I expected but it was an excellent source of history. 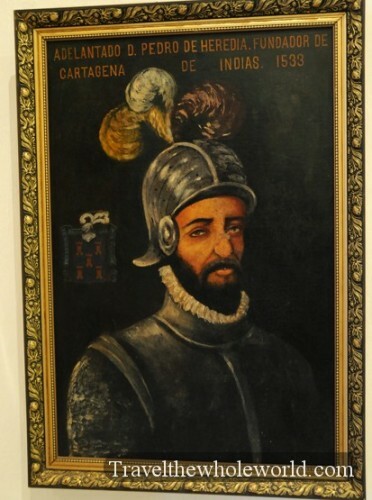 The portrait on the lower left is of Pedro de Heredia who was famous for being expelled to the new world from Spain for being a trouble maker and frequently getting into fights. 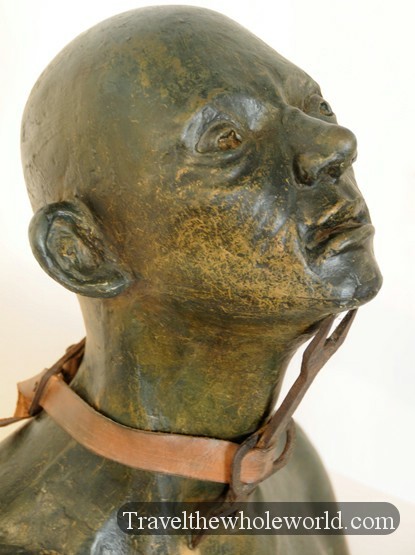 Maybe he was depressed about his exile, but it turned out to probably be the best thing that ever happened to him. 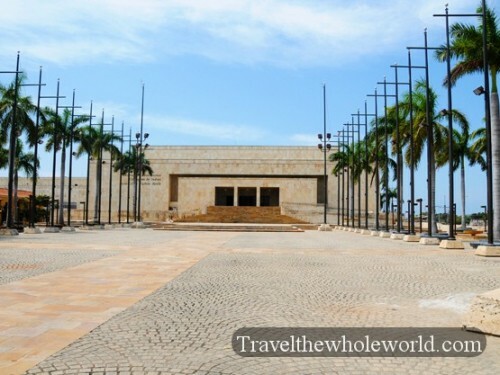 Once he arrived to the new world he took a job from the governor of Santa Marta and acquired land on the island of Manga where he founded Cartagena. 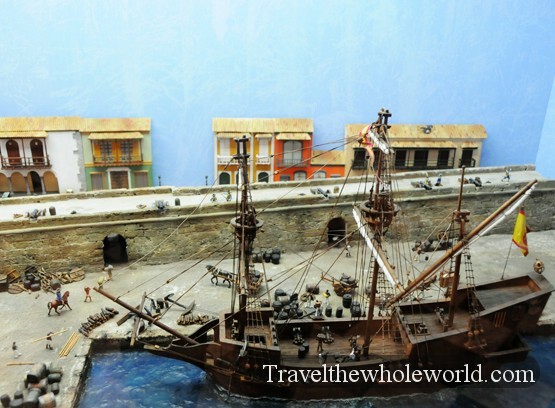 The center photo is what Cartagena looked like in its earliest days in the late 1500s and early 1600s. Another large part of the museum covers the historic part of the Spanish Inquisition where tens of thousands of people around the world where tortured and killed by the church of Spain. 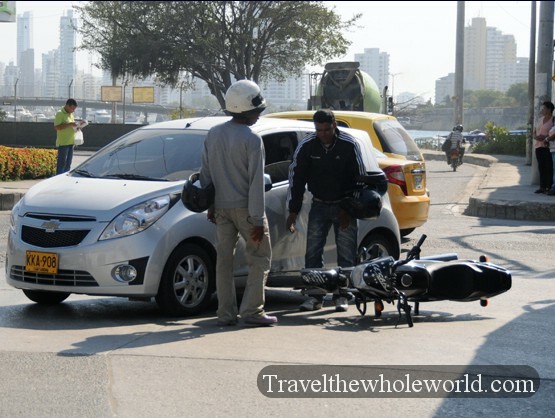 Though I felt safe in Cartagena, it seemed more feisty than the city of Santa Marta or even the capital Bogota. 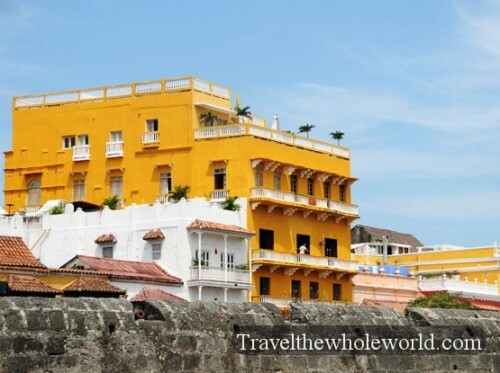 Cartagena has a reputation for being touristy and as you walk within the city you’ll come across lots of foreigners from the states and Europe. I heard of one woman who was mugged but she was traveling alone at night and was also severely intoxicated. Otherwise I think people using common sense will have no issues. Above is a man getting what looks to be a painful haircut in an alley I walked through. On the upper right is a policeman watching over a busy street corner. 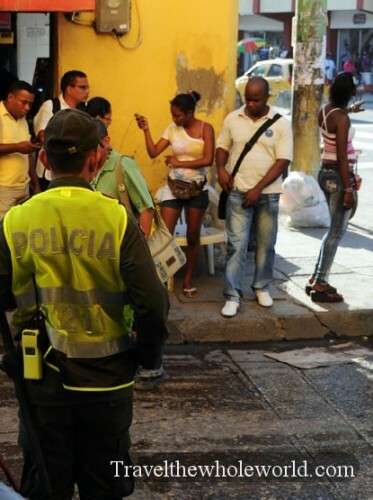 I was told there were more police in Cartagena at the moment because they were preparing for a large convention and many of them were from other cities in Colombia. On the right a man has T-boned a car with his motorcycle. I’m not sure who’s fault the accident was but it inspired every car within a mile radius to hold their horn down and made an extremely annoying atmosphere.